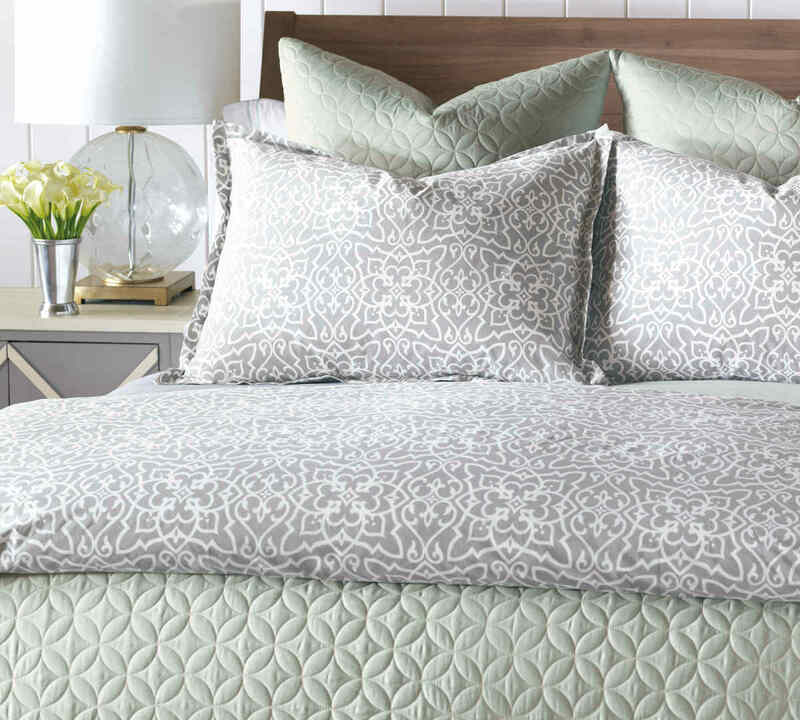 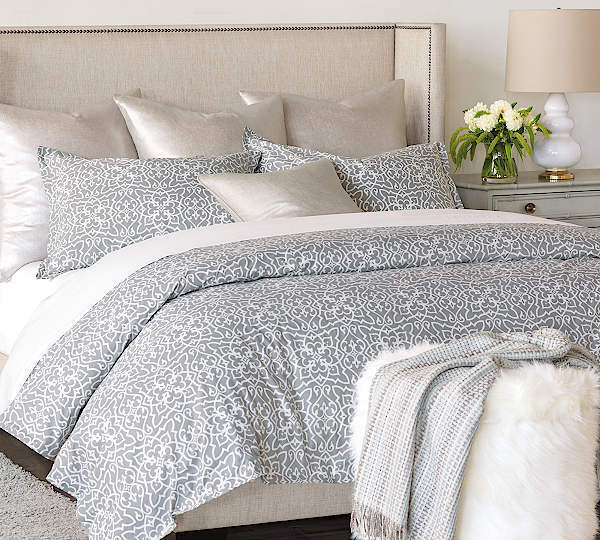 Nancy Koltes Bedding San Marco Duvet & Sham - Swatches may be available. Young and modern, San Marcos is simply elegant. With its transitional mosaic print in cool shades of slate and white, this collection is perfect for infusing a touch of urban loft chic to your decor. 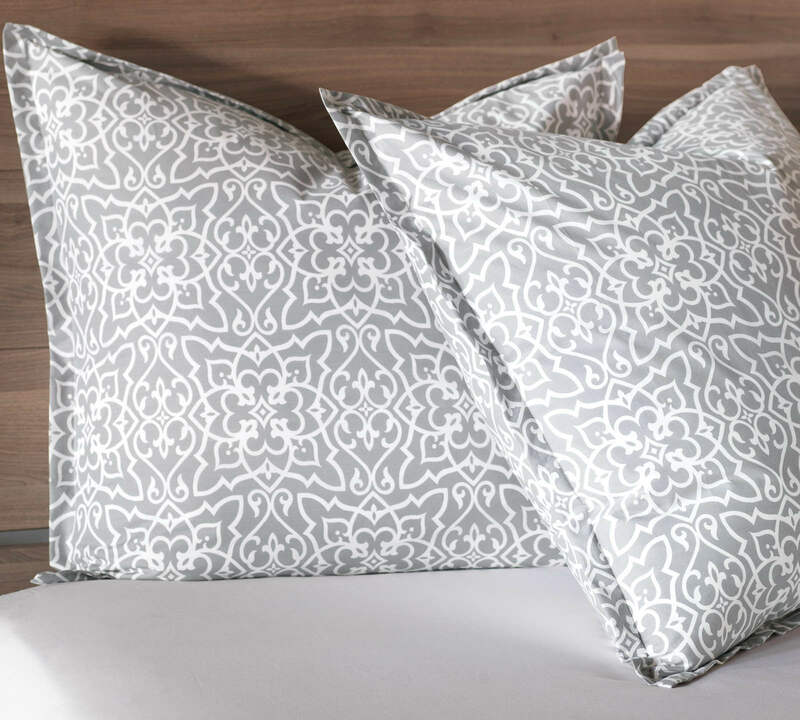 Woven in Italy of the finest Egyptian cotton, this 200 thread count printed percale is available as a duvet cover, shams, and yardage.